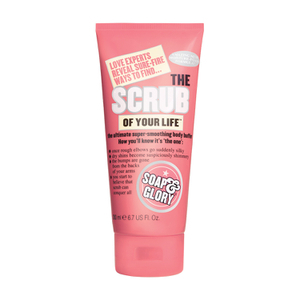 A mega-size bottle of Soap & Glory's deluxe, fantastically hydrating body lotion. This lush yet surprisingly lightweight hydrator delivers the perfect level of moisture to dry skin. Its rich, deep-sinking formula is made with shea and cocoa seed butters, sweet almond and rosehip seed oils, aloe vera, vitamin E, and a special seaweed-sourced smoother. This lotion goes on silky—never greasy—and swiftly replenishes moisture to dry elbows, knees, and feet. 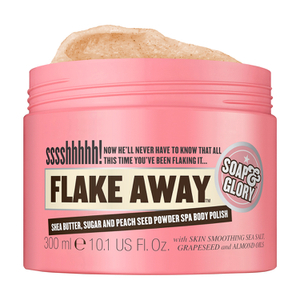 This lotion comes in Soap & Glory's delicious Original Pink™ which combines fresh bergamot, mandarin, rose, jasmine, peach, strawberry, and soft musk & amber base note. After a shower a bath, smooth THE RIGHTEOUS BUTTER™ Body Lotion onto damp skin from shoulders to toes. Double apply on any rough spots (knees, elbows, feet) or just-shaved legs. Let it all sink in. Just love it !! Yes buy it now..great price also ! !Every night I put it on before bed..really softens skin. Very nice lightweight moisturizing lotion. Especially nice right after showering. The smell, however is a bit overpowering.